Downers Grove Therapist: Payal Sud, LCSW, ICDVP - Therapist 60515. Send A Message To Payal. Session Fees: Sliding scale is offered. 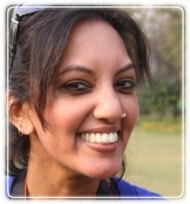 Payal Sud LCSW,ICDVP is a licensed clinical social worker and Illinois certified domestic violence professional. She has worked in the field for over 10 years. She has worked with many different populations, including domestic violence victims, children with disabilities, and children in the DCFS system. Besides her private practice, Payal is also the founder of Generations Empowered where she helps individuals balance the American culture with a a foreign culture. She approach to therapy is to collaborate with her clients to create a plan that her clients feel comfortable and feel that will help them move forward in life. Her biggest joy is seeing her clients smile again.